The aroma of marinated rib eye steaks grilling in the backyard just might cause your neighbors to jump the fence to see what's cooking. Better grill a few extra, just in case. The steak marinade is easy to put together and includes just a few ingredients. The most difficult part of this recipe is having to wait as the rib eyes soak up all that good flavor from the marinade. This recipe makes enough for four 3/4 inch thick rib eye steaks. Marinate the rib eyes in this mixture at least 4 hours, and preferably overnight in the fridge. 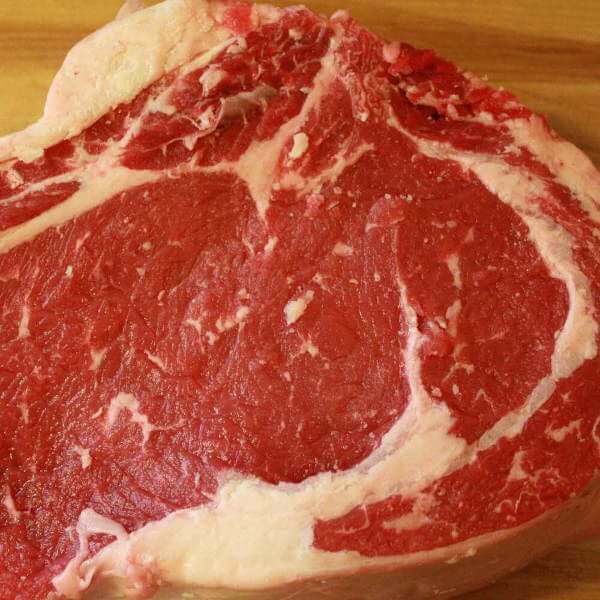 A couple hours before grilling, remove the steaks from the refrigerator and let them warm up to room temperature. Preheat the grill on high for ten minutes then put the steaks directly over the heat. Don't move them for four minutes, then rotate them 1/4 turn. Grill for another three minutes and flip 'em over. Brush on some marinade and cook them until the internal temperature reaches 145 degrees Fahrenheit for medium rare, or 160 degrees for medium.